Follow us on Facebook to see when we expect to have calm weather and let us know if you are available. We fly at Sunrise when the winds are light. It's too hot now, for the balloon and to stand under a giant heater, in the afternoons until fall. E-Mail or text ASAP to reserve your space. 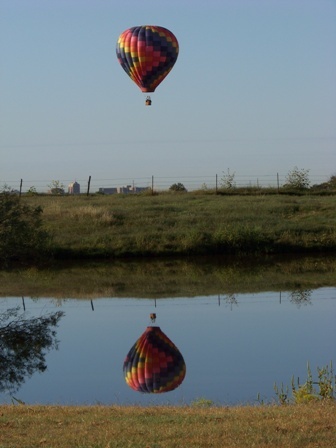 Looking for a hot air balloon ride in the Oklahoma City area? We can't wait to fly and neither should you. 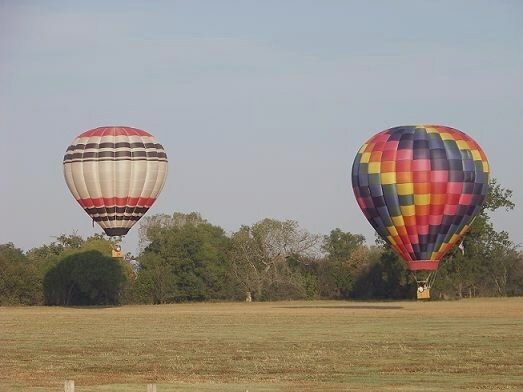 Free Spirit Balloons is THE Hot Air Balloon flight company for your Balloon Ride. That's me in the middle at the top. 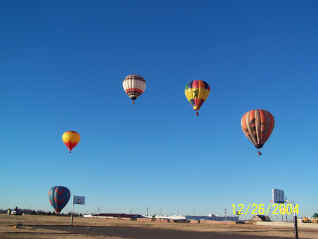 We fly year round in the NW OKC, OK area weather permitting. 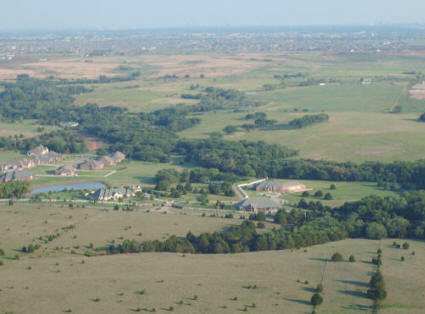 We can fly anywhere from just above the tree tops in the open country side to high above the city (1,000 feet or more) where you can see for miles. 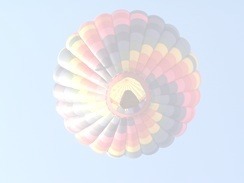 As we drift peacefully across the sky, it feels like we are standing still and the world is turning slowly beneath us. 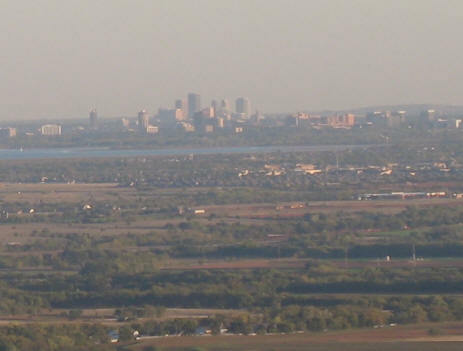 Most flights cover about 5 to 15 miles depending on the wind speed and direction. 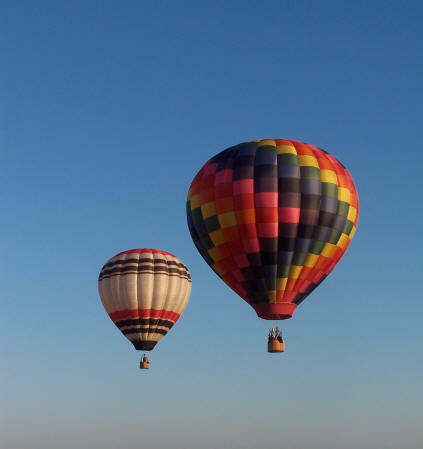 Click Ride Info & Pricing in the menu on the left for Hot Air Balloon Ride Information. Come back after your flight to download pictures taken by our ground crew during your flight by clicking Flight Pics.